covering Bristol, Bath and surrounding areas. Call us today on 0117 939 5130 to discuss your requirements. bedroom with en suite shower facility. Call us today on 0117 907 1633 to discuss your requirements. We are a company you can work with and have 100% trust in. Are goal is to help you achieve your dream home, are teams thrive on doing this. Our step by step process to achieving your loft conversion dream. A CSW surveyor will arrange a visit to your property to discuss your ideas and make an initial survey. We take on board all your ideas and provide our professional advice. We will show you a galley of previous and on-going projects, so you get an idea of how things look and how we work. You will then receive a FIXED written quotation within 7-10 days. If you would like us to carry out your new conversion it’s then time for our architect to visit the property and start the process. 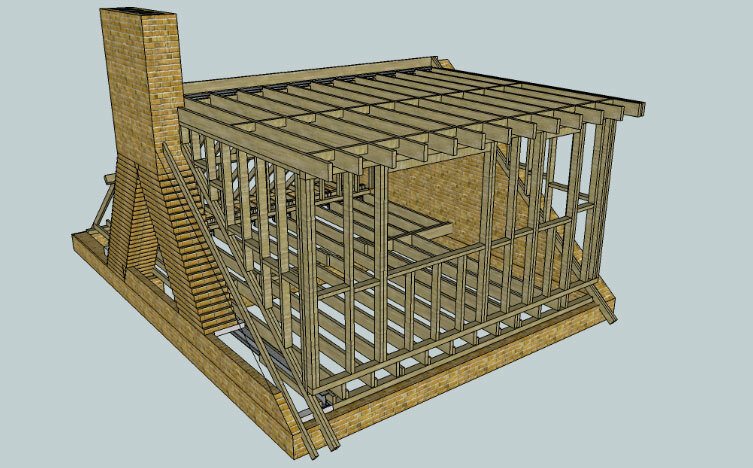 He will do a more in depth survey and draw plans to your specification. Once plans are finalised, you then confirm you are happy with the layout and design. 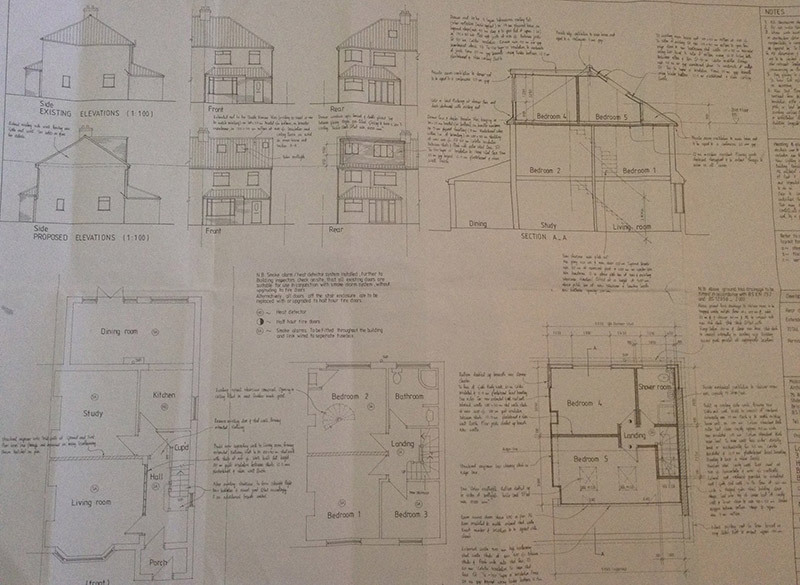 The plans then get submitted the local authorities and passed to our structural engineer. Within a couple of weeks all plans approved. Once you decide to choose CSW to carry out your new conversion its then time for our architect to visit the property and start the process. He will do a more in depth survey and draw plans to your specification. Once plans are finalised, you then confirm you are happy with the layout and design. The plans then get submitted the local authorities and passed to our structural engineer. Within a couple of weeks all plans approved. Now the contract and payment plans are sent out to you, to read, sign and send back. There is NO DEPOSIT REQUIRED. Start date is agreed. Our lofts take from 6 weeks depending on size to complete. Necessary scaffolds are erected prior to start date. The teams arrive on site from around 8am with working hours to about 4.30. All carpets are protected from dust. Now we are ready to make way for the new staircase. Its now a case of plaster boarding and plastering all walls and ceilings. You will now see the size and shape of your new room(s). This can be a time to add things such as cupboard space, shelves etc if not already done. All second fix materials arrive to complete the project. Skirting’s, architraves, handrails, bathroom suite, sockets, lights etc. Now its looking good. Then that’s it. A JOB WELL DONE, and more importantly a happy customer and new dream home. CSW Lofts believe in always exceeding our customers’ expectations and for them to be happy to recommend us to their friends and colleagues. 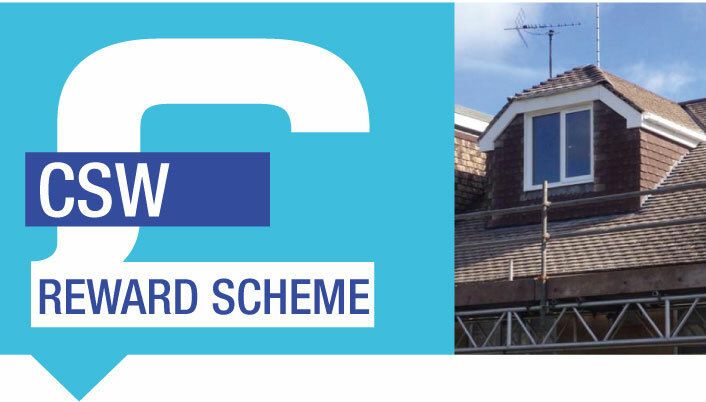 If you recommend us for a full loft conversion, full extension or a total building refurbishment you will automatically receive a cheque. This is between £200 – £300 and will be paid automatically once the work commences. CSW were fantastic they have transformed our home with an excellent loft conversion. Our children love their new bedroom. We would fully recommend to anyone. plus they have given us a cheque for £300 because we told our neighbours about them. A big thanks to ryan and fabian”. Mr and Mrs dyer Bedminster down. Contact us today and and see how we can help you with your loft conversion project.